When a couple of guys wanted to start a new business in the car buying industry, they came to id8 for help in creating the entire brand. Because they started without a name and without any brand awareness in the marketplace, the new company needed branding experts to research and develop their entire brand identity. To develop their identity and strategy, we began by researching the market. We looked at similar competitors to understand how to position the new company in a new and unique way, gathered information on their potential clients to develop a way to communicate with their target audiences, and discovered the challenges they would face to develop a strategy to help them overcome those barriers. With this information, id8 assisted in creating the company’s name Carvenience, a combination of their line of business (cars) and the overarching benefit it provides their clients (convenience). We created a logo and provided imagery that represented their identity, and developed brand guidelines that outlines the color palette, logo usage, and strategy. Carvenience is a mobile company and conducts business online, so id8 developed the website using their standards. It is responsive for all platforms, and it conveys the important information their clients need in their unique tone. 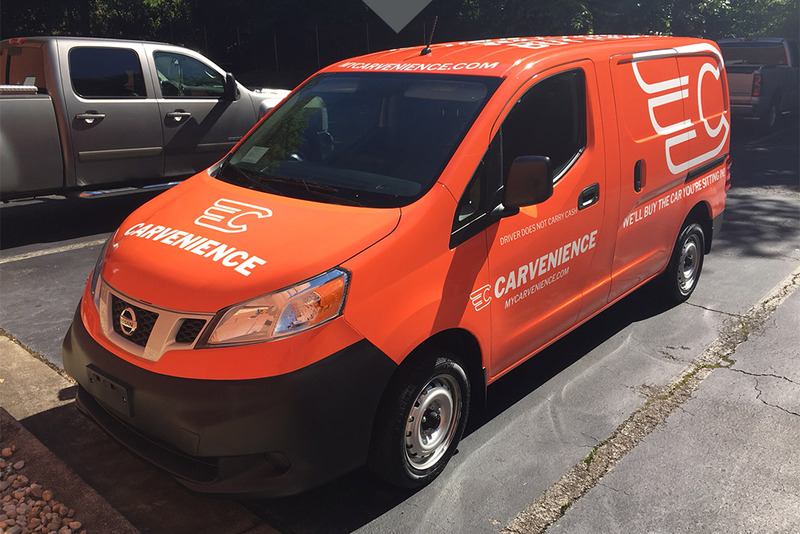 With an official launch date in July 2018, Carvenience now has an online presence on social media, and they are currently reaching out on multiple mediums to build their clientele. As the Agency of Record, id8 will be Carvenience’s source for branding and marketing for the next 12 months. We have developed a marketing plan to follow and will implement the strategy to ensure their success.